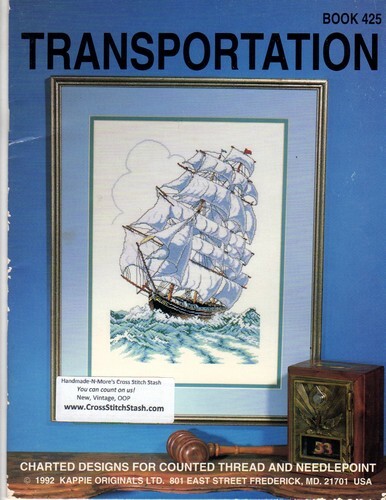 Kount on Kappie Transportation counted Cross Stitch and needlepoint Pattern booklet. Bi-Plane, Tall Ship, Showboat, Train, Skyhawk. Appears new. Store sticker on cover.